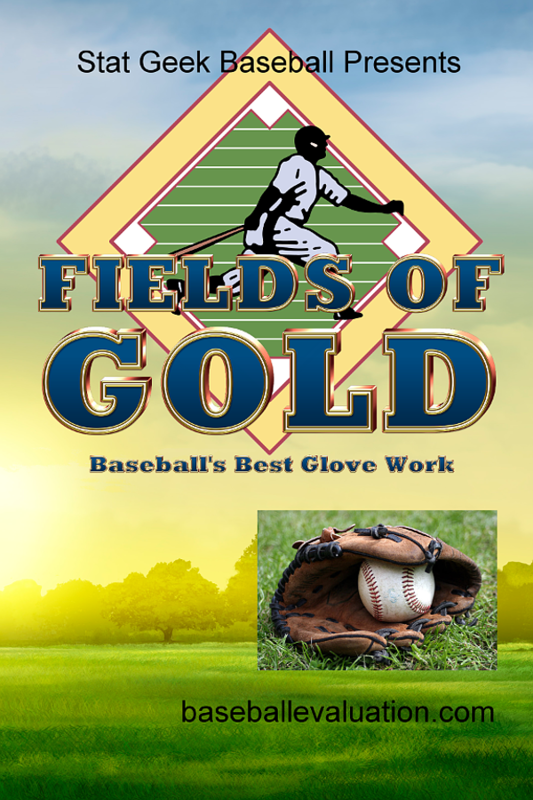 Fields of Gold, Baseball's Best Glove tracks the best fielders in baseball history, including the best of every team. 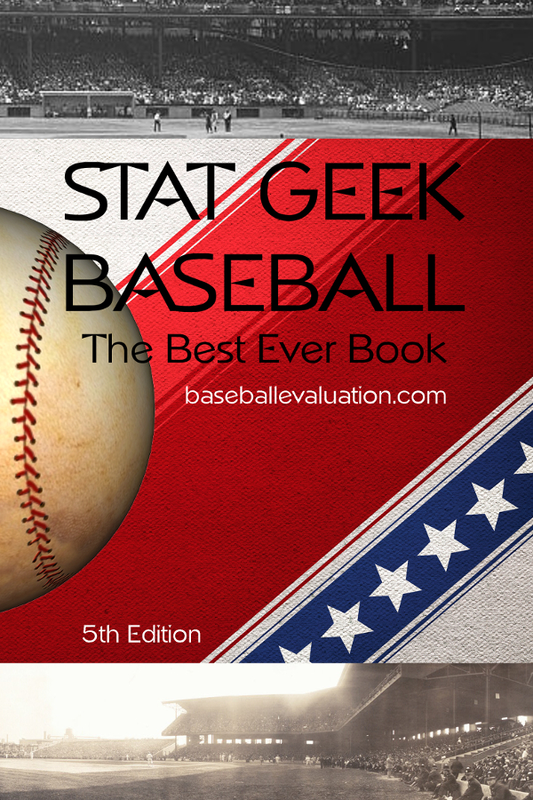 PEVA is the acronym for Stat Geek Baseball's New Player Rating value. 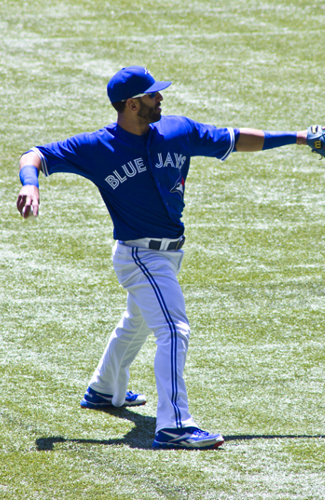 This grade is given to each playerand pitcher each season, rating their performance on a peer to peer review. Six components for pitchers and batters are melded together into the PEVA Rating, which ranges each year from 0.200 to 64.000. 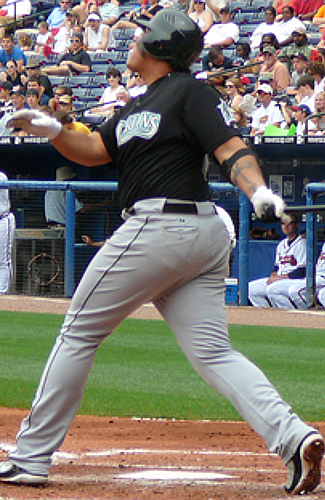 For more information on PEVA and the other new Stat Geek Baseball Stats, see our Definitions page. 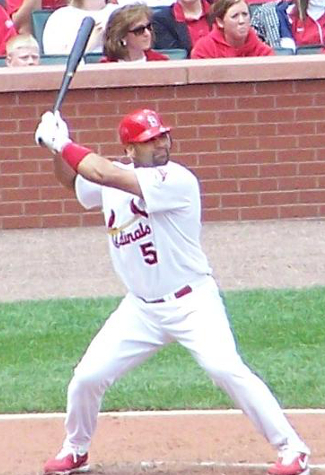 PEVA ratings are available for every pitcher and hitter in baseball history. Note: PEVA ProWins reflects projected wins, per offensive, defensive, and pitching statistical PEVA. Final Regular Season PEVA Grades as of 9-28-14. 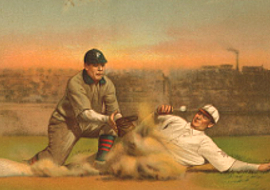 Historic baseball statistics noted and utlized at statgeekbaseball.com were provided courtesy of the Sean Lahman Database, Baseballdatabank.org, and the Chuck Roscium Catcher Database.